A part of General insurance, two-wheeler insurance covers damages against theft, fire, accidents etc. It is mandatory to have a two-wheeler insurance according to the Indian Motor Vehicle Act, 1988, for all the categories, ranging from motorcycles to scooters. In absence of the same, you are liable to be fined and punished by the law. But fear of law should not be your key reason to purchase two-wheeler insurance; it should be because you rightfully relate bike insurance with peace of mind! 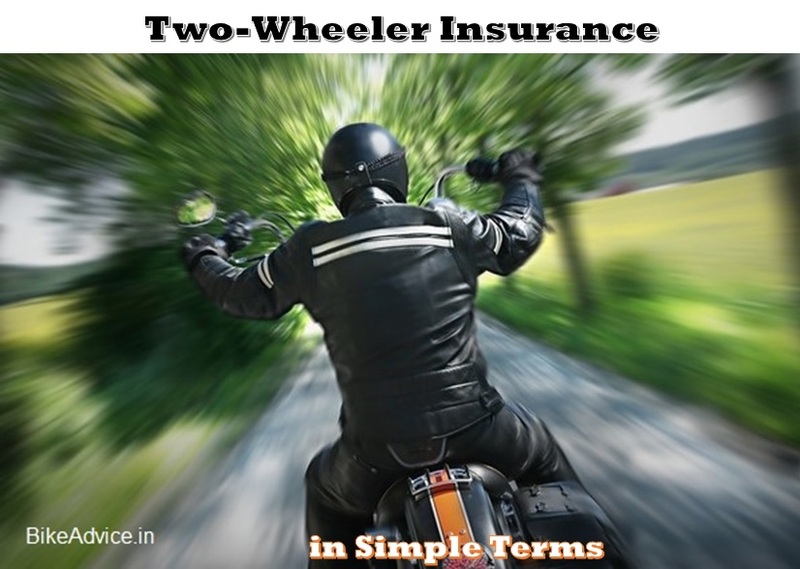 What are the types of Two-wheeler Insurance? As the name suggests, this type of insurance provides coverage against a third party’s vehicle or physical injury. In case of any accident, any harm to you or your vehicle must be borne by you. It is cheaper as compared to other types of insurance, offers basic coverage and is the bare minimum mandated by law. Along with the benefits of third-party insurance, this insurance also offers coverage for your vehicle and health. So, in an unfortunate accident, your insurer will have to bear the damages caused to you, your vehicle, any physical injury to the other person involved in the accident, and/or their vehicle. This is costlier as compared to third-party insurance, since it provides a wider coverage. However, the law doesn’t mandate you to opt for this type of insurance. What are the factors which affect the policy premium? Broadly, there are various factors which affect your two-wheeler insurance policy’s premium. Registration city: For instance, your city of vehicle registration has an impact on the amount – bigger metro cities generally have higher insurance costs because the chances of accidents are higher due to increased traffic. Engine capacity: Apart from this, the higher you go on the cubic capacity/displacement, the higher your insurance premium will be. So, the amount you will have to pay will be higher for a 375 CC bike than a 150 CC one, even if they retail at around similar price points in the market. Additional factors: Some insurers also offer difference in premiums based on the age of the insured or his gender. Also, you can get discounts on the premium if your vehicle is fitted with an anti-theft device or if you have not made any claim in the preceding year (termed as No Claim Bonus). It is important that you keep your two-wheeler insured at all times because no one knows when a fatality can strike. You cannot prevent mishaps but the least you can do is keep yourself prepared!